Already recognised as the Middle East’s top meetings, incentives, conferences and events (MICE) destination, Dubai has showcased its growing acumen in staging world-class business events at IMEX Frankfurt, one of the world’s largest annual MICE industry conventions. Spearheaded by Dubai Business Events (DBE), the city’s official convention bureau and a division of Dubai Corporation for Tourism and Commerce Marketing (Dubai Tourism), the delegation comprised 24 industry stakeholders including representatives from Emirates Airline, Expo 2020 Dubai and Jumeirah Group. The partners showcased Dubai’s existing and future stable of conference and events venues, including the 45,000 sq metre exhibition centre that is being built adjacent to the World Expo 2020 site in Dubai South. 2017 proved the most successful year to date for Dubai’s business events sector, with the emirate securing a total of 212 bids to host major international conferences and exhibitions, bringing an additional 95,000 delegates to the city and adding AED715 million to the local economy. The meetings and incentives sector also scored some impressive wins, with the biggest highlight being the US-based Forever Living Incentive Trip, which brought 12,000 visitors from more than 100 countries worldwide to Dubai. Two major incentives trips have been confirmed for 2018: The Baby Care Annual Incentive, which will bring 1,500 delegates to Dubai, and the Amway Russia Annual Incentive, which will bring 2,700 employees. 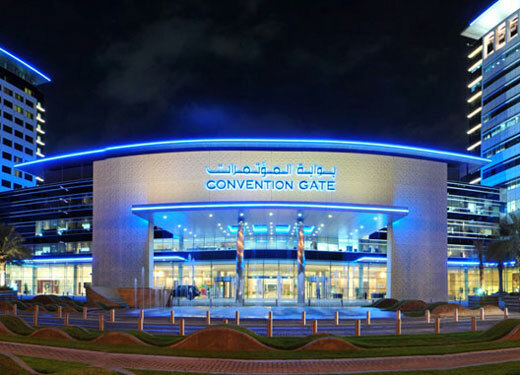 This year, Dubai will also host major international events including the Institute of Internal Auditors Congress, the World Cardiology Congress, and the 57th edition of the ICCA Congress, which is recognised as one of the world’s biggest conference industry events and will be staged from 11-14 November. Dubai’s push to attract more MICE business is crucial to it achieving its goal of 20 million visitors by 2020, the year it hosts the first World Expo in the Middle East. The MICE sector contributes AED2.39 billion to the UAE economy annually, according to government statistics, with Dubai accounting for around 30 percent of this figure. The industry’s economic contribution is forecast to rise to AED5.1 billion by 2020.